When a person or family is struck by the tragedy of a death or serious personal injury, they want an injury attorney who will handle the case personally from start to finish, a personal injury attorney who will listen to them,a personal injury attorney who will return their phone calls, a personal injury attorney who will take their problems seriously and who will deal with their concerns in a sensitive and professional manner. 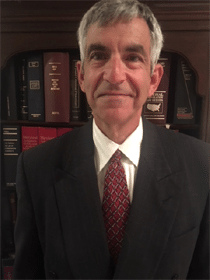 Baltimore Attorney Marc Atas is a highly-skilled attorney based in Baltimore, Maryland who represents individuals throughout Maryland who have been involved in a Personal Injury Case. Baltimore Injury attorney Marc Atas handles Personal Injury cases that occur in the Baltimore-Washington area including Baltimore City, Baltimore County, Anne Arundel County, Western Maryland, The Eastern Shore, Frederick County, Carroll County ,Prince Georges County and Montgomery County. Our firm has won many Personal Injury trials in Maryland in both the district court as well as the circuit court. In addition in other cases we have been able to work out hundreds of favorable personal injury settlements without having to go to court. Baltimore injury attorney Marc Atas has represented innocent parties in all kinds of slip and fall cases, landlord tenant injury cases, products liability cases, and lead paint cases. Personal Injury law can be extremely complex litigation and usually involves well funded defendants. You need a lawyer who is willing to stand up to the big boys and will not be intimidated. My office loves a good fight. Please bring your case to me so that we can fight for you. For more info on personal injury in Baltimore, please CLICK HERE. Feeling angry and hurt with nowhere to turn? Suffer in silence no more! Seek the support of an attorney who can channel your emotions and help you get the compensation you deserve. Start with the basics and familiarize yourself with the elements in a personal injury case by looking at the information below. How to prove fault in personal injury claims other than automobile accidents. A more simple definition is that the person who caused the injuries did not act in a normal way in which a reasonable person would act under similar circumstances. Negligence can occur in many different circumstances. If an accident is caused on property that is dangerous because it is poorly built or maintained, the owner of the property is liable for being careless in maintaining the property, regardless of whether he or she actually created the dangerous condition. For example, if you are on someone else’s property either as a visitor or a tenant and are doing business on the property, the owner of that property has a responsibility to keep the premises properly maintained. If that owner knows or should have known about a dangerous or defective condition but fails to remedy the situation in a timely manner despite adequate time, he/she is liable and is considered negligent for not preventing your injuries. These situations frequently arise in slips and falls on an owner’s piece of property or when a tenant or one of his guests is injured in a rental property. To hold the owner of a property liable, it is not sufficient to merely say that the injury took place on that property; you must also prove that the owner owed you a duty in that you were some sort of patron or authorized guest and that the owner either knew or should have known of the dangerous or defective condition that caused the accident. If the landlord or business owner has a defective condition or slippery area and is unaware of it, because he/she has not been notified and had no way of doing a reasonable inspection to discover the situation, he/she may not be liable, because he/she did not have enough notice to remedy the situation. For example, if you are in a store and a customer spills a foreign substance on the floor prior to you walking in that area and nobody notifies the store owner, the owner of that building is not liable for your injuries even though it happened on those premises because he did not have proper notice and had no way of knowing about the slippery condition. On the other hand, if the substance had been there for a long period of time and there was sufficient time for the owner to have done reasonable inspections or for someone to have notified him, he may be liable even if he had no notice. In typical landlord/tenant situations where the tenant lives in the property and doesn’t notify the landlord of the problem, he/she may not be able to file an action against the landlord because he/she failed to notify the landlord of the dangerous condition. Without adequate time and notice, the landlord or owner cannot be held accountable. If, however, the tenant notifies the landlord of the dangerous and defective condition and the landlord fails to properly fix the condition, the landlord may be liable because he/she has had notice and still failed to do his/her duty. If an accident is caused by a defective product, the manufacturer and the seller of the product may both be liable for the injury. Defective products are everywhere, including cars, baby cribs, medicines, etc. In these particular cases you don’t normally have to prove negligence and may proceed on a theory of strict liability. Maryland is a one bite state, does not recognize a separate cause of action for dog owner negligence, and will not permit a victim to recover if his own actions contributed even just one percent to the cause of the accident. The traditional doctrine that makes a person liable for harm inflicted by a domestic animal is referred to as “scienter” (the Latin word for “knowingly”), “common law strict liability,” and “the one bite rule.” As it applies to dog bites, this doctrine holds that a victim can recover compensation from the owner, harborer or keeper of a dog (a) the dog previously bit a person or acted like it wanted to, and (b) the defendant was aware of the dog’s previous conduct. If either of those conditions are not met, however, this doctrine prevents the victim from recovering anything. With the exception of pit bulls, Maryland adheres to the one bite rule. The owner or keeper of an animal, if he has actual or constructive knowledge of its ferocious or dangerous propensities, may be responsible, depending upon the circumstances, for all proximately caused injury or damage. Twigg v. Ryland, 62 Md. 380 (1884). The defendant will be held liable whether the incident happens on a public street (Bachman v. Clark, 128 Md. 245, 97 A. 440 (1916)) or the defendant’s own premises (Hamilton v. Smith,242 Md. 599, 219 A.2d 783 (1966)), but in the latter case the victim cannot recover if he is an intentional or inadvertent trespasser Bramble v. Thompson 264 Md 518). The one bite rule is the foundation of dog bite law. It exists in every state. The majority of states, however, have statutes that supplement the one bite rule. These dog bite statutes or animal liability statutes make dog owners responsible for all bites including the first one. Additionally, the majority of states impose liability on dog owners and others under a variety of other legal doctrines, including negligence, premises liability, nuisance, and negligence per se for a violation of an animal control law such as a leash law, a law prohibiting dogs from being at large, or a law prohibiting dogs from trespassing. This particular state does not have a dog bite statute. Critics have asserted that not having a dog bite statute is at odds with modern American beliefs about personal responsibility, because the one bite rule shields a dog owner from liability each time one of his dogs bites a person for the first time unless it can be proved that the owner knew that the dog had the propensity to bite people without justification. Whether one agrees with these critics or not, it nevertheless is true that a dog bite victim has more to prove in the absence of a dog bite statute. This state also has sharply limited the dog bite victim’s cause of action for negligence. Negligence is the lack of ordinary care; that is, the absence of the kind of care a reasonably prudent and careful person would exercise in similar circumstances. If a person’s conduct in a given circumstance doesn’t measure up to the conduct of an ordinarily prudent and careful person, then that person is negligent. For example, letting a stray dog into a day care center is negligence. . To recover compensation on the ground of negligence in this state, however, the victim must prove the elements of the one bite rule (i.e., that the dog had the propensity to bite people without justification, and that the owner, harborer or keeper knew it). See below, Liability based upon common law strict liability. Therefore the dog bite victim in this state has to satisfy more requirements than victims who are negligently injured by other means. For example, if a dog owner brought his pit bull to a day care center, and the dog mauled a toddler, the dog owner would have no liability at all unless the parents of the child could prove that the dog had demonstrated the specific dangerous propensity to bite people. The sheer stupidity and recklessness of bringing the dog there in the first place would not be enough to make the dog owner liable in this state. There is one circumstance in which owners and harborers of a dog will be held strictly liable without the proof required by the doctrines of scienter or negligence. Maryland has imposed “a strict liability standard in respect to the owning, harboring or control of pit bulls and cross-bred pit bulls in lieu of the traditional common law liability principles.” In Tracey v. Solesky, the state’s highest court ruled that pure pit bulls are inherently dangerous as a breed, making their owners and harborers strictly liable for injuries inflicted by these dogs. As revised, the decision applies to “pure” pit bulls, leaving open the question as to whether the strict liability standard shall be applied to owners and harborers of cross-bred or “mixed” pit bulls in the future. To hold liable the owner of a domestic animal that has caused injury, the claimant must show that the owner knew, or by the exercise of ordinary and reasonable care should have known, of the inclination or propensity of the animal to do the particular mischief that was the cause of the harm. Twigg v. Ryland, 62 Md. 380, 386 ; and May Co. v. Drury [160 Md. 143, 153 Atl. 61 (1931)], Evans v. Upmier [16 N.W. 2d 6 (Ia. 1944)] and Lynch v. Richardson, [39 N.E. 801 (Mass. 1895)], all supra; Prosser, Page 457} Torts (2d ed. ), Sec. 57, pp. 323-325; Restatement, Torts, Sec. 518. Id. at 216. The owner or keeper of the dog or other domestic animal must be shown to have had knowledge of its disposition to commit such injury, and the burden of proving this fact is on the plaintiff, though it would be otherwise if the animal was of a nature to be fierce and untamable, such as bears, tigers, etc. Spring Co. v. Edgar, 99 U.S. 645. The notice which will charge the owner or keeper with liability for the vicious conduct of the animal must be notice that it was inclined to do the particular mischief that has been done. Hence, notice that a dog is ferociously disposed towards cattle, is no notice that he will attack persons. It is not necessary to show that the owner or keeper of a vicious dog has seen the animal attack mankind; but it is sufficient to show that the vicious propensity of the animal has, in some way, been brought to the knowledge of the owner or keeper, so as to admonish him to take the necessary precaution to prevent injury in the future. Hence the question in each case is whether the notice was sufficient to put the owner or keeper on his guard, and to require him to anticipate the injury that has actually been done. Id. at 385-86. Knowledge of dangerousness can be proved by circumstantial evidence that infers knowledge of dangerousness on the part of the dog owner. Bachman v. Clark, 128 Md. 245, 248, 97 A. 440 (1916). In that case, there was evidence that the dog was always kept in an enclosure; that the dog would jump on people entering the enclosure; that the dog would become excited, bark and run up and down the fence, attempting to bite a stick thrust between the palings by boys upon the outside; that the dog would growl; and that the dog was always kept within the enclosure except when on a strap. On the basis of that evidence, the court held there was legally sufficient evidence to go to the jury as tending to show the defendant’s knowledge of the dog’s vicious propensity or inclination to bite mankind. It must first be shown, in order to render the owner liable for damages to one bitten by his dog, that the dog had a vicious propensity, and second that such vicious propensity or inclination was known to its owner. But the owner’s knowledge of the dog’s vicious propensity need only be such as to put him on his guard and to require him as an ordinary prudent person to anticipate the act or conduct of the dog resulting in the injury for which the owner is sought to be held liable. 3 C.J. 96. The owner’s knowledge of the propensity of the dog may be, and most generally is, acquired from its conduct and behavior, although such knowledge may be acquired from other persons, and in some cases the knowledge of others is imputed to the owner. However, knowledge of dangerousness is not implied if it is based solely on breed, as least in a case that did not involve a pit bull. In McDonald v. Burgess, 254 Md. 452, 255 A.2d 299 (Md.App. 07/01/1969), a child apparently was injured by a German Shepherd when the owner took the child into the dog’s dog run. The plaintiff argued that the fact that the dog was a German Shepherd should have put the dog owner on notice that the dog might be dangerous. The court rejected that argument. “`[W]here a landlord leases separate portions of his property to different tenants and reserves under his control the passageways and stairways, and other parts of the property for the common use of all the tenants[,] he must then exercise ordinary care and diligence to maintain the retained portions in a reasonably safe condition.’ Langley Park Apts. v. Lund Adm’r, 234 Md. 402, 407, 199 A.2d 620, 623 (1964). The duty to maintain these areas in a reasonably safe condition extends not only to the tenant but “includes the members of his family, his guests, his invitees, and others on the land in the right of the tenant.” Landay v. Cohn, 220 Md. 24, 27, 150 A.2d 739, 741 (1959). “It has been held that a child on the land at the invitation of the child of the tenant is entitled to the benefit of the landlord’s obligation in this respect.” Landay v. Cohn, supra, 220 Md. at 27-28, 150 A.2d at 741. Accordingly, in Shields v. Wagman, , the Supreme Court held that landlords of a strip shopping center may be liable for injuries sustained by a business invitee and a tenant when they were attacked by a pit bull dog owned by another tenant and kept on the leased premises. The injuries in Shields occurred in a common area, the parking lot of the shopping center, on two occasions when the pit bull escaped from the leased premises. Where a landlord agrees to rectify a dangerous condition in the leased premises, and fails to do so, he may be liable for injuries caused by the condition. See, e.g., Sacks v. Pleasant, 253 Md. 40, 44-46, 251 A.2d 858, 861-862 (1969) (landlord held liable for injuries caused by a defective toilet seat where the landlord promised but failed to repair the same); Farley v. Yerman, 231 Md. 444, 448, 190 A.2d 773, 775 (1963) (“a tenant . . . may maintain an action for injuries sustained as a result of an uncorrected defect . . . if there was a contractual obligation to repair the particular defect and a reasonable opportunity to correct it. . . . A promise made in the face of a threat to move or a request by the landlord that the tenant remain creates a contract supported by consideration”). Similarly, if a landlord voluntarily undertakes to rectify a dangerous or defective condition within the leased premises, and does so negligently, the landlord is liable for resulting injuries even though he was not contractually obligated to correct the condition in the first place. Miller v. Howard, 206 Md. 148, 155, 110 A.2d 683, 686 (1955); Miller v. Fisher, 111 Md. 91, 94, 73 A. 891, 892 (1909) (“although a landlord, in the absence of a covenant to that effect, is ordinarily not bound to repair, yet if he assumes to do so, and performs the work so negligently as to cause an injury thereby, he is responsible”). Defective or dangerous conditions in the leased premises which violate statutes or ordinances may also be the basis for a negligence action against the landlord. See, e.g., Richwind v. Brunson, supra, 335 Md. at 671, 645 A.2d at 1152 (adopting Restatement (Second) of Property: Landlord and Tenant 17.6 (1977)). The doctrine of strict liability applies to cases involving pit bulls on the leased premises. A landlord may be held liable for injuries inflicted by a pit bull which is owned, kept or harbored on the leased premises, provided that the landlord has the right to prohibit such dogs on the premises and knows or has reason to know that the dog is a pit bull. See the discussion of Tracey v. Solesky, supra. Maryland is one of the few American states that adheres to the ancient rule of contributory negligence, as opposed to the modern variants of that rule. In a contributory negligence state, a victim cannot recover any compensation for his injuries if he contributed even slightly to the occurrence of the accident. “One who by his own negligence has contributed to an accident in any essential degree cannot recover damages therefore.” Baltimore & O. R.R. Co. v. State, 29 Md. 252 (1868). A parent’s negligence will be deemed to constitute an “independent and superseding cause of the child’s injuries” in only an “extraordinary situation.” Caroline v. Reicher, supra, 269 Md. at 130, 304 A.2d at 834. The case of Miller v. Graff, 196 Md. 609, 620, 78 A.2d 220, 224 (1951) held that “a child four years old cannot be guilty of contributory negligence under any circumstances.” If the victim is 5 or over, he may be contributorily negligent if he failed to exercise that degree of care of reasonable person of like age, intelligence, and experience under like circumstances. Taylor v. Armiger, 277 Md. 638, 358 A.2d 883 (1976). In other words, a child is not judged by the same standards as an adult. A landlord can be held liable for injuries inflicted by a tenant’s dog under certain circumstances, described above. One of the landlord’s defenses is that he lacked the time to evict the tenant who harbored the vicious dog. In the case of Matthews v. Amberwood Associates Limited Partnership Inc., 351 Md. 544, 719 A.2d 119 (Md. 10/07/1998), the landlord defended on the ground that the victim could not prove that the landlord had enough time to evict the dog owner. The plaintiff won, however, because defendant landlord had taken no steps to initiate the eviction. A dog owner is not liable when his dog bites a trespasser, whether the trespass is intentional or inadvertent. Bramble v. Thompson, 264 Md. 518 (1972). In Benton v. Aquarium Inc., 62 Md. App. 373, 489 A.2d 549 (Md.Sp.App. 04/03/1985), a delivery man saw a sign in a warehouse that said “Guard Dog on Duty.” Despite reading the sign, the man opened the door of an office, where he was attacked by a dog. His conduct was deemed to have constituted an assumption of the risk of injury, and on that basis his case was lost. The following are guidelines that will help you determine who is responsible in a typical slip, trip or fall case on property belonging to someone else. Thousands of people are injured each year in slip, trip or fall cases. Sometimes the owners of a property are responsible and other times they are not. How long has the dangerous area been there? Was it there long enough that the owner should have known about it? Does the property owner have a regular procedure for examining, cleaning or repairing the premises? If so, what proof does the owner have of this regular maintenance? If you tripped over an object that was on the floor for a good reason, does there still exist a good reason to have the property on the floor or is there another place that the particular object could have been placed that would have been more safe without any greater inconvenience or expense to the property owner? Could a simple barrier have been created or a warning have been given to prevent people from slipping or tripping? Did the lighting in the particular area contribute to the accident? Defenses to your negligence action can destroy your cause of action. If a defendant in a slip and fall case or a products liability case or a landlord/tenant negligence case can prove that the plaintiff was in way contributory negligent or assumed the risk then that is an absolute defense to any claim that may be made. Maryland is a contributory negligence state, which means that in order for a plaintiff to prevail in a personal injury claim the plaintiff must be 100 percent in the right and must not contribute in any way to the accident. If the plaintiff contributes even 1 percent to an accident, the plaintiff loses and cannot recover anything. While this may seem very harsh, many defendants use this legal theory to disavow liability. For instance, in a typical slip and fall on ice in front of a business, the landlord will prevail if he can show that the tenant saw the ice prior to walking on it but made a conscious decision to walk on the ice anyway. The landlord can then assert the defense of contributory negligence and/or assumption of risk and can successfully dodge liability even though he may have been negligent in not cleaning up the ice in the first place.